And yes, possibly the crowds. The truth is, even during the "slow" times, you'll still find crowds. But crowds don't have to mean that your trip is ruined. We have lots of of suggestions and tips on how to handle the crowds at Disney World. What about if the parks close because of the crowds? We wish we could tell you that the crowds you'll find on your next trip will be just like the ones you encountered on your "very first Disney World vacation back in 1995." The reality is that Disney has gotten very, very good at spreading out the crowds during the entire year. Between the well-timed discounts, tiered ticket pricing, cheer/dance competitions, and runDisney races, Disney has filled in most of the big gaps where you could expect low crowds and little to no lines. One comment we sometimes hear from readers is that they are surprised that a week they traveled that was "green" on the crowd calendar was as busy as it was. The reality is that even the green times are going to have some crowds and lines - it is just that the super busy times (like the holidays) are going to see the heaviest crowds. So be realistic about what you can expect in regards to crowds. Listen to some of the first-timer reports on the WDW Prep to Go Podcast to hear what other people have said. Having realistic expectations before you even leave can make it much easier to avoid frustrations when you arrive. 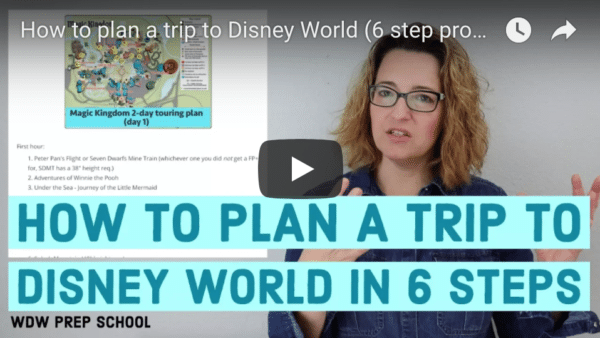 The best way to handle the crowds at Disney World is to have a plan. And, depending on what time of year you go, you may need to have a back-up plan (and maybe even a back-up to your back-up plan). The more you can prepare before your trip, the better off you'll be when you are there. We have touring plans for all 4 of the parks, and that is where you should start when planning out your day. Our touring plans aren't rigid, minute-by-minute plans. Our philosophy is different and allows you more flexibility while still minimizing your waits. Our touring plans have attractions grouped by hour for the first few hours (as opposed to minute-by-minute schedules), and only go through lunch. For most Disney World visitors, this approach is more flexible, works better, and creates far more happy memories (and a lot less stress). If a ride breaks down or if the crowds and lines at an attraction are too much, flexibility is key to keeping your day on track. Don't be afraid to try something not on your plan. Some of the best memories can come from those spontaneous moments so instead of stressing, embrace them. 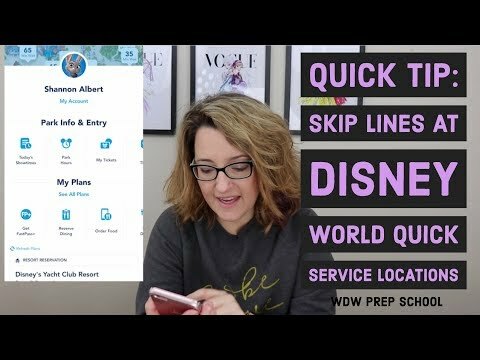 When you visit any of the parks at the Walt Disney World Resort, pay attention to how many people walk 20 steps inside and then stop in the middle of a walkway to consult a map or their phone. We don't expect you to memorize every park and every attraction, but even having a basic knowledge of the lands at each park can help you out a ton. Not only does that keep you from being one of the people with their faces in their map, but it also helps you out if you find that something you want to do is closed or has a long line. Instead of wandering around aimlessly wondering what you can do instead, your pre-trip studying can come in handy to figure out how to change plans as needed. One of the best ways to get familiar with the parks is to look over some of the Disney World maps. Even just a little exposure to the layout of the parks will help you once you arrive. Sometimes the best approach to handling the crowds is to know when to leave. Not suprisingly, the middle of the day is generally the most crowded. And, if you are traveling during the summer or fall, it is also the the time of the day the heat and humidity can become stifling (which can make even moderate crowds feel heavy). Instead of being miserable, whenever possible plan to not be in the parks during that super-crazy middle part of the day. Use that time to rest and relax or even to swim. That way you'll be ready to head back in the evening when the temps make the crowds easier to handle. During the busiest days of the year, Disney World may restrict entry into one or more of the parks. This is most commonly seen at Magic Kingdom. Unless the closure is the highest level (which very rarely occurs), all guests staying at a Walt Disney World Resort will be allowed into the parks; however, depending on the closure level, some offsite guests may not. If you are planning to enter the parks during one of the days mentioned in our Disney World closure phases post and you plan on staying offsite, you will definitely want to arrive to the park early. The early morning hours are usually the best for park touring. During the day, the crowds (and possibly the heat) will only continue to grow. Even if the lines to get in to a park look long, they are a drop in the bucket compared to what the crowds inside the park will look like a few hours later. That means whenever possible, you'll want to get to the park gates at least 45 minutes early. In most instances, guests will be let into the parks ahead of the actual "rope drop". You can use the time while you wait to double check your touring plans or look over a map. It is also a good time to eat a snack that you brought with you. If you are using Disney transportation, make sure you take into account the amount of time you'll need for that. Disney often recommends allowing at least an hour. If you plan to drive, or use a Minnie Van or Uber, you would need to leave your resort parking lot 30 minutes or so before you want to be to the gates of the park if heading to Epcot, Hollywood Studios, or Animal Kingdom. Allow 45 minutes before if heading to Magic Kingdom. The busiest times of the year will often find the park hours extended late into the evening. It isn't unusual during the holidays and school breaks for Magic Kingdom to be open as late as 1 or 2 a.m. If you are a night owl, those last couple hours of an extra late evening can be as good for touring as the first couple hours of an early morning. The crowds will continue to thin out the later into the night you go, so if you can stay up late, consider giving that a try. Table Service restaurants are a fantastic way to get a break from the crowds. The nice thing about dining at a Table Service restaurant during a busy time of the year is that you don't have to worry about trying to find a seat or waiting in a line to order. Instead, you'll be shown to a seat and you'll have somebody to bring your drinks and food to you. The hour or so that it takes to eat a Table Service meal is a great break if you've been out battling crowds. If your plan is to dine at a Counter Service or Quick Service restaurant, you'll want to pick an off-peak time to do that. For lunch, we recommend trying to eat between 10:30 am and 11:00 am. 10:30 may sound early, but since you likely started your morning quite early and walked around for hours, you'll probably be ready to eat. For dinner, try to avoid the time period between 5 p.m. and about 7:30 p.m. Many of the Counter Service and Quick Service locations now offer Mobile Ordering, so choosing a place to dine that offers that is a good way to help avoid the long lines you'll often find at the cash registers. If you don't mind missing the parades and nighttime entertainment offerings, you'll often find lower crowds throughout the rest of the park while they are happening. If you are planning to be in a park more than 1 day, or if parades and fireworks aren't your thing, head to the attractions while everybody else is heading to watch the show. Sometimes it might make sense to pay extra to experience those must-do things. Things like the Happily Ever Dessert Party, Frozen Ever After Dessert Party, the Star Wars: A Galactic Spectacular Dessert Party as well as the dining packages for Fantasmic! and Rivers of Light are all great ways to pay a little extra to guarantee you'll have a spot to watch the shows. In addition to the dessert parties and dining packages, Disney offers several tours that can provide you access to attractions. We are firm believers that you don't have to pay extra to still have a magical time on your visit, but if it is within your budget, then adding on one of those extras can definitely help you with crowds. Have any concerns about how to handle the crowds at Disney World? Let us know in the comments!